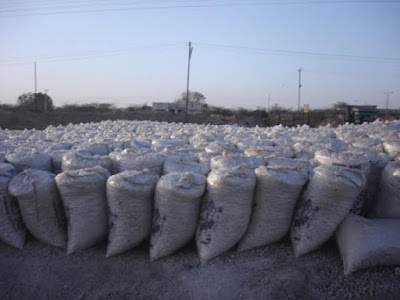 A Namak Satyagraha Samiti has been formed in Gujarat, consisting of agariyas (traditional salt farmers), salt manufacturers and traders, to fight the “unjust” state notification to impose five per cent value added tax (VAT) on salt. Apart from the recently added VAT, the Government of India and the state government are charging cess and royalty on salt, respectively. Already, the Namak Satyagraha Samiti has made several representations. It now plans voluntary shutdown of salt trading in the entire state as a mark of protest against the state government move. The Indian Salt manufacturers Association and the Rajasthan Salt Refinery Association have extended their support to the Samiti’s fight. The decision to impose five per cent VAT on salt reminds one of the Britishers, who levied a heavy tax on salt. Mahatma Gandhi took out his historic Dandi March, Namak Satyagrah, in 1930, which played a key role in the Independence movement. Gandhiji ensured abolition of tax on salt, giving a strong message to the British Empire that common people of this country are going to fight for their freedom in a non-violence manner. Gujarat produces 176 lakh tonnes of salt per year, which constitutes over 73 per cent of India’s total salt production. 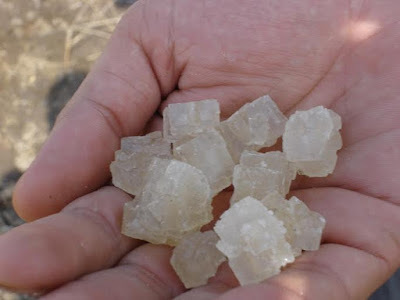 Basically, salt is produced in the Little Rann of Kutch, which is termed as inland salt, and all along the coast of Gujarat, which is known as marine salt. 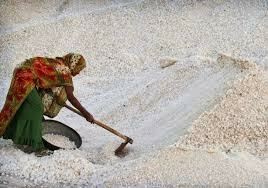 Salt farming is 600 years old livelihood occupation of backward communities of Gujarat. Every year, thousands of families migrate from more than 10 districts to salt farming areas for eight months, to make their livelihood. Salt is an essential commodity, used for human consumption, dairy, preservation, leather processing, bakery, chemical and soda ash, and many other industries. Yet, the state government decided to tax salt. Surprisingly, the government states, the step is meant to bring salt production under its wings. It means, the government expects that every salt farmer from the Little Rann of Kutch to register and take a VAT number, complete online procedure for the salt that she/he sells to the trader. The Agariya Heetrakshak Manch, an organization of traditional salt farmers of Gujarat, having thousands Agariya of members in eight districts of Gujarat, has issues a statement that this step show how the government is least concerned towards community. It believes, the step would adversely affect the entire salt industry, including agariyas. He underlined, “Traditional salt farmers of the state are neither given user rights on the land they cultivate to produce salt, nor do they have access to the formal credit. And now the government has imposed tax to make life of the agariyas worse than hell”. “The agariyas of Gujarat oppose this move of the government and if needed will fight this out in by launching a Gandhian non-violent satyagrah”, he added. No other state of India has imposed tax on salt. This tax will add on the cost of salt, making the commodity costlier than the neighboring state, Rajasthan. In the mission 2020 for salt, the Government of India announced the ambitious plan to beat China and become the second major salt producer in the world. Yet, it is completely silent on the user rights of salt farmers over land, access to formal credit, to solar technology, and to basic facilities of water supply, public distribution system supply, health services etc.